Meet the ReBoot Heroes, out-of-the-ordinary thinkers and practitioners whose work has increased our understanding of illness and healing. From doctors to therapists, inventors or just ordinary people with extraordinary ideas, these individuals are making waves in the holistic health world. Today’s the day! 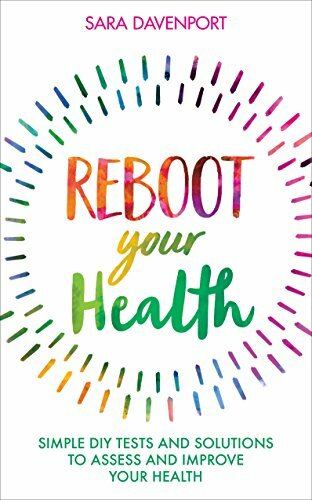 Reboot Your Health by Sara Davenport is published today by Hay House. Find out more about the book and how to order. Sara meets this month's Reboot Hero, Dr Gregory Gumberich, who offers breakthrough chiropractic care from his practice in Florida. Find out more about Sara Davenport's book, Reboot Your Health, available now to order. Discover detox expert Nadia Brydon's top five detox foods. Nadia has been practising for more than 40 years as a professional health educator, raw food chef and acupuncturist and is also trained in reflexology, and Western and Chinese herbal medicine. Meet Reboot Hero, Gosia Gorna. Sara talks to Gosia about her new book The Expansion Game which teaches you a powerful new technique for clearing fear and allowing you to live the life you want. Meet Franky Kossy, kinesiologist, and find out why kinesiology is Sara's therapy of choice. Discover what kinesiology is, how it works and what ailments it's suitable for in this comprehensive guide to kinesiology. Meet Dr John Ogden, naturopath and acupuncturist, who has developed the Ogden Health Screening System. This machine offers 38 different digital health tests in the space of half an hour, making it one of the quickest and easiest ways to understand what's going on with your health. Tessa Guy | Can you think your way to fitness? Unlikely as it sounds, thought and imagination can improve your physical fitness. Research shows that you can focus your mind to bring about positive changes - find out how.